Here’s to iteration. When Justin Kan first launched Exec, a service for getting errands done on demand, I was one of the first beta testers. We had a housecleaning and it took, well, six hours. Even though the Exec that came over had a fantastic attitude, it was clear that the startup had many kinks to iron out. 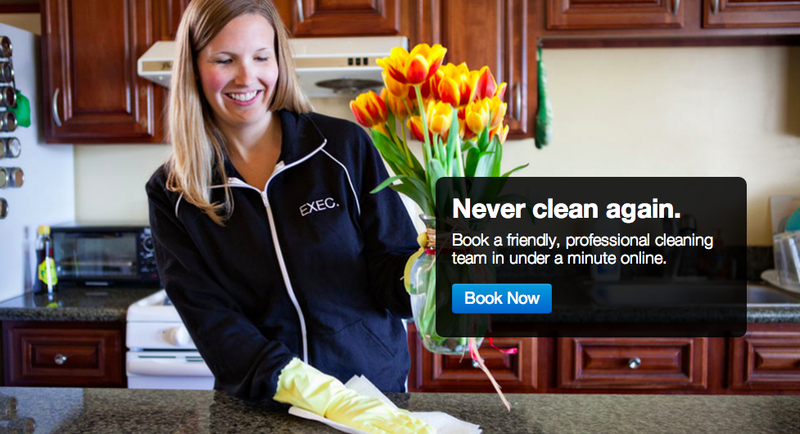 A couple months later, Exec has launched a dedicated cleaning service. Kan saw that about 10 to 20 percent of the requests coming through the Exec platform were for housecleaning. He realized that he would need to hire people who were specifically experienced at cleaning and could bring all of their own supplies like 409 and vacuum cleaners. So today, you can schedule cleanings and pay about $65 an hour to have two or more Execs come over and do pretty much anything from carpets to hardwood to toilet cleanings. The only thing they don’t do are exterior windows, Kan says. “Our goal is to be in and out faster,” he said. Unlike the rest of Exec where you can call up the app and instantaneously order Execs, the cleaning service has a scheduling system. This helps the company manage supply and demand better, and even keep some cleaning Execs on-hand for those very last-minute orders. I had my place cleaned again and they came in and out in about two hours. They did several bedrooms, bathrooms and did a thorough scrub on our stove. There’s more polish this time. The Execs even left roses and a handwritten note, which I still have on my dining table now. And the final bill was slightly less that what I’ve paid in the past for cleaners that I’ve found and called up myself. If you’re not home, they’ll handle key pick-up. As for Exec itself, they’re doing about 1,500 jobs a month, have 12 full-time employees and about 150 contractors working in San Francisco. After raising $3.3 million in a very unusual round that included tons of YC alums like Loopt’s Sam Altman, Stripe’s Patrick Collison, Parse’s Tikhon Bernstam and Y Combinator partner Paul Buchheit, Kan says the company’s not returning to the funding well anytime soon. “My goal with Exec is to keep the business low overhead, until we have something that I feel is a breakout hit,” he said. The company’s not profitable but its burn rate isn’t that large either since Exec jobs generate cash flow. Kan faces competition from the YC family itself. Another Y Combinator-backed startup Pathjoy is doing maid services for as little as $20 an hour. You can read Anthony Ha’s review here.